This new book is really good. It’s different, and I think people are going to love it. 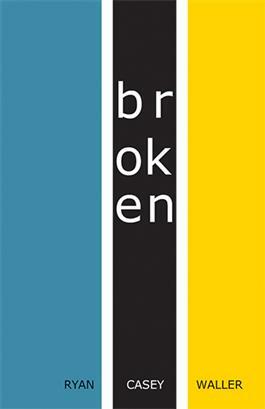 I wrote Broken because I uniquely identity as a broken person myself. What I want to say to folks is that although I’m ordained, I’m just like you. I have all of the same issues, I’m as completely broken as you; we are all completely broken. Only God, who is not broken, can bring healing to us. In that identification I feel that people might be encouraged to say that we’re all in this together, and here’s a guy who is open about the struggles that he’s had, and yet takes his faith seriously. If he can have a relationship with God, I can too. I’ve always felt like God is calling me to a certain level of self-disclosure where it’s helpful. In Broken, I try to explore scripture in a self-revelatory way, it’s hopefully helpful to people, and inspiring to them. How long have you been a writer? How does writing enhance your ministry? I started writing for fun ten years ago, right at the end of law school. Instead of studying for a law exam, I opened up a Microsoft Word document and started writing what I came to realize later was a story. I fell in love with writing. I continue to write because of the joy in it. God ministers to me through it, so I would do it regardless of whether or not anyone read it. Writing enhances my ministry in a couple different ways. The art of writing, the art of using words to be precise, helps my ability to teach and preach. That’s a big part of what my job is, to stand up and say something meaningful and accessible and true to people. Additionally, writing allows another venue to speak to people. I can write something and put it on Facebook, and provide hope and consolation to people who wouldn’t hear me preach otherwise. Jesus calls us to cast the seed; it’s not up to us to determine where it lands. We have to just continue to do it. I’ll never stop. Tune in next week for Part 2 of Miriam’s interview with Ryan Casey Waller, in which he discusses which essays he struggled with, favorite writers, and his larger goals for his ministry. Interested in Broken? Order your copy here.